Thanks to the volcanic lava rock that filters the rainfall and runoff, the water here on the Kona coast is some of the clearest in Hawaii. 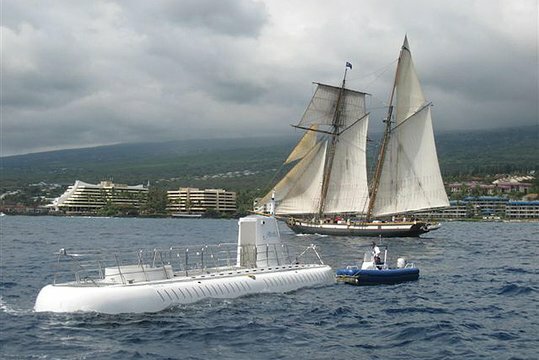 On this enthralling Kona submarine tour, explore the clear waters and colorful reefs just off of the Kona coast, where schools of tropical reef fish flit above patches of sand and through caves. 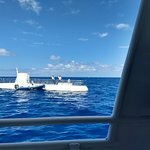 You’ll see all types of tropical marine life on this Big Island submarine tour, from schools of small manini, or convict tang, to larger fish such as the big-eyed emperor fish that slowly cruise above the reef. 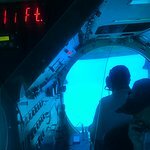 This Atlantis Submarine Kona Adventure has been featured in National Geographic television shows, and explores the ocean just off the coast to depths of 100 feet (30 meters). 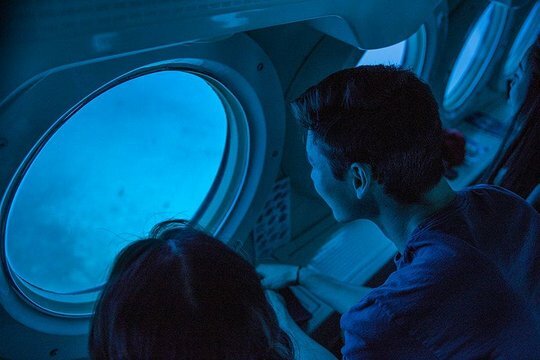 For the entirety of the 50-minute underwater journey, you can relax in comfort in the air-conditioned sub that only holds 48 people, and casually watch through the circular portholes as fish go swimming right by. 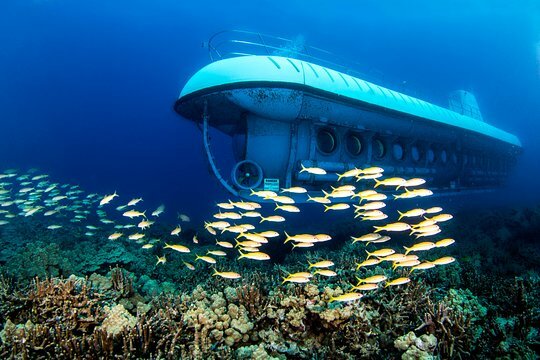 Unique opportunity to cruise through a coral reef and watch all sorts of fish in their native environment. 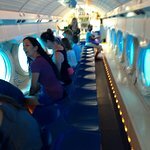 The sub was comfortable and with nice big portholes, and the crew was extremely knowledgeable and friendly. Great view from 100 feet under! I was worried I might feel claustrophobic, but I was not at all! 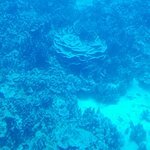 Great views of coral, schools of fish, shipwrecks, and even a shark! Get quick answers from Atlantis Kona Submarine Adventure staff and past visitors.